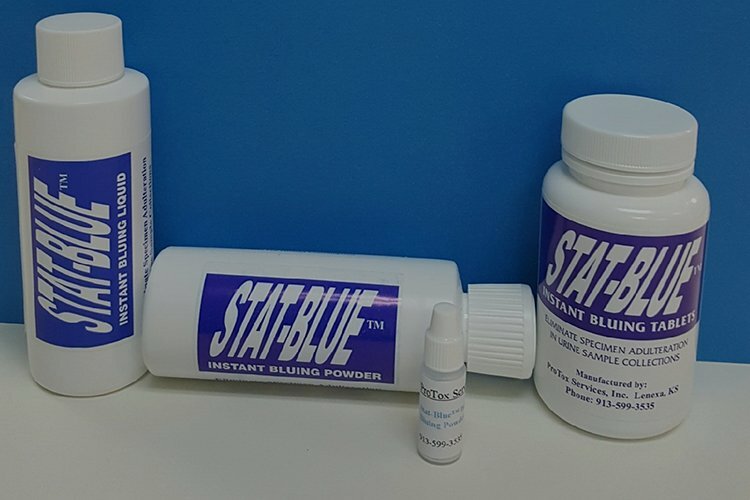 Now Offering Oral Fluid Quality Control Samples! Call Cathy! & federal Drug Testing Regulations. Now Offering Oral Fluid Quality Control Samples! Call Cathy!! "Keeping you in compliance with state and federal drug testing regulations." For over 20 years ProTox Services (formerly A.T. Laboratories) has provided collection sites, laboratories, MROs, TPAs, and employers, with products ands services that keep them in compliance with state and federal drug testing regulations. Perfect for drug test collections, also great for leak detection. This state approved Proficiency Program is exactly what you need to meet state regulations regarding quality control for your on-site drug testing device. Used in multiple states to meet regulations regarding daily or "per box" quality control measures. Quality control specimens spiked with drugs , just as the lab would receive as a donor swab. Collection of your employee's specimen to ensure integrity of your specimens. Providing products to the busy Healthcare Professional. Professional Toxicology Services, Inc. is a Women Owned Small Business. For almost 20 years Professional Toxicology Services, Inc. has provided collection sites, laboratories, MROs, TPAs and government agencies with products and services that keep them in compliance with state and federal drug testing regulations 49 CFR 40.103, 10 CFR 26.168, 49 CFR 40.41.